With over 100 years combined experience, the professional team at MVL is among the top in the nation. As a proven leader in vascular treatments our team has influenced many of the techniques utilized in todays vein treatment. 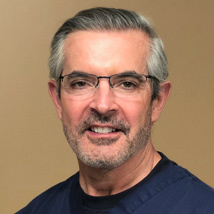 Robert Tyrrell MD is a board certified Interventional Radiologist and has been in practice as the head of interventional hospital services for 29 years. He has performed thousands of endovascular procedures using small catheters, balloons, lasers and stents to treat both arteries and veins. He is an expert in ultrasound which is critical to accurately diagnosing and treating vein disorders. He is experienced in the entire spectrum of vein disease ranging from venous insufficiency causing varicose and spider veins to blocked veins causing leg swelling and pain. Dr. Tyrrell attended Case Western Reserve University School of Medicine completed an extra year student fellowship in pathology during that time. 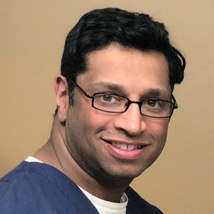 He then completed his five year radiologic residency at University Hospitals of Cleveland and was the first to be chosen to do a year of research and consulting at Siemens Medical in Erlangen Germany. He followed this with his Cardiovascular and Interventional fellowship at the Cleveland Clinic Foundation. Dr. Tyrrell is passionate about patient care and outcomes. His goal is to help patients feel and live better. Matthew Sebastian MD is originally from Nova Scotia, Canada but has strong roots in Ohio. After medical school he completed his residency in Diagnostic Radiology at the Medical College of Ohio in Toledo, Ohio. He then went on to the prestigious Dotter Interventional Iatitute in Portland, Oregon to complete his fellowship training in Vascular and Interventional Radiology. Dr. Sebastian is board certified in both Diagnostic and Vascular Interventional Radiology. Dr. Sebastian then served the Toledo community for 7 years before joining Dayton Interventional Radiology in 2012. During his time in the Toledo area he also served as a clinical associate professor of Radiology at UTMC. Dr. Sebastian is a strong believer in offering and creating awareness of minimally invasive treatment options to his patients. He takes great pride in offering the latest cutting-edge treatment options and is always learning more about newer advanced techniques. Dr. Sebastian is very experienced and has performed thousands of procedures in oncologic, spinal, arterial and venous disciplines. He is an active member of the Society of Interventional Radiology. Dr. Sebastian strives to offer his patients the best treatment options and provides outstanding care so patients can resume their lives healthier and feeling better. 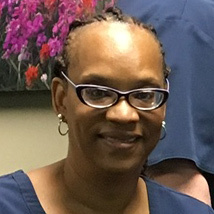 Kandy Hammond RN BSN MBA/HCM has had an established career in the nursing field for more than two decades – with the last 24 years specifically in clinical practice treating venous disease. Considered one of the foremost consultants in the U.S.A., her management style is defined by an attention to detail supported by a dedication to clinical excellence that have evolved throughout her career at Midwest Vein and Laser, and as a hospital ICU nurse at Columbus Ohio’s Children’s Hospital (Neo-Natal ICU), Grant Medical Center (Surgical & Trauma ICU), as well as Lima Memorial Hospital (Surgical ICU). She was instrumental in creating the original protocols used in photo rejuvenation therapies and was involved in assisting Dr. Ronald Bush in the development of many of the vein treatments that are now considered the standard of care. 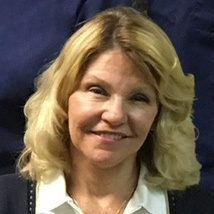 She has coauthored several articles specifically about the innovative techniques and procedures concerning venous conditions and is an annual speaker at many of the national vein meetings. 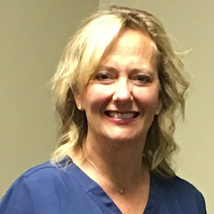 Kris Tumbusch RN joined the MVL team 18 years ago after having 10 years of experience in the hospital specializing in Cardio-thoracic Critical Care. 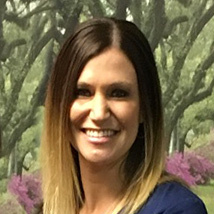 Kris’s experience gives her the unique qualifications needed to provide our patients with the highest quality of care. Kris is an excellant sclerotherapist, outstanding surgical assistant and excels in facial cosmetic procedures. Clista, RN joined out team after 11 years of varied nursing experience including specializing in surgical, emergency department and cardiac nursing. Her experience allows her to provide our patients with outstanding patient care as well as putting them at ease with her caring personality. In addition, her expertise in IV therapy makes her an excellent sclerotherapist. Clista also adds to her list of abilities the various facial cosmetic. Cristy has been part of MVL’s team for 15 years. 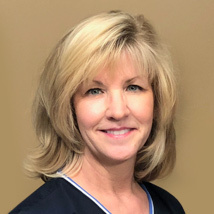 As a certified Medical Assistant, she is well versed in all the treatments performed at MVL and helps to provide an atmosphere of confidence and comfort. In addition to her MA duties, she is responsible for obtaining insurance coverage and being a patient advocate. Insurance is often confusing and Cristy has the unique ability to help simplify the process. Brenda has been part of MVL’s team for 4 years. She assists patients with scheduling and has the unique ability to make everyone feel at ease and part of our family. Brenda joins us with a variety of experiences and talents helping to create an exceptional patient experience. She truly is a Hospitality Specialist. 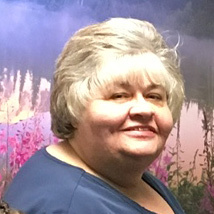 Debbie joined us as our receptionist in the Vandalia office. She is instrumental in scheduling patients as well as making sure their experience at MVL is an outstanding one. She comes with a variety of experience that makes her an excellent addition to out team.